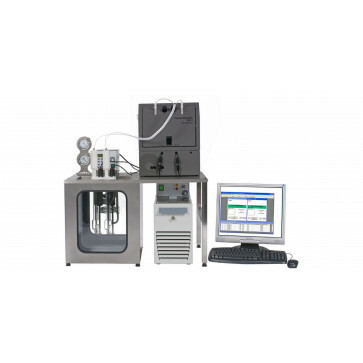 The PSL Rheotek RPV-1 Pulp glass capillary viscometer system is suitable for measuring a wide range of pulp and cellulose products including bleached wood (paper pulp), bleached chemical pulp, digester samples, cotton linters, regenerated cellulose, aged electrical papers and pharmaceutical bulking materials. The RPV-1 is designed to be integrated with the SP-2 Sample Preparation system for pulp & cellulose. ISO 5351 Determination of limiting viscosity number of pulps. SCAN-CM 15:99 Viscosity in cupriethylenediamine solution. ASTM D1795 Intrinsic Viscosity of Cellulose. PACTAC G.24P Cupriethylenediamine Viscosity of Pulp.